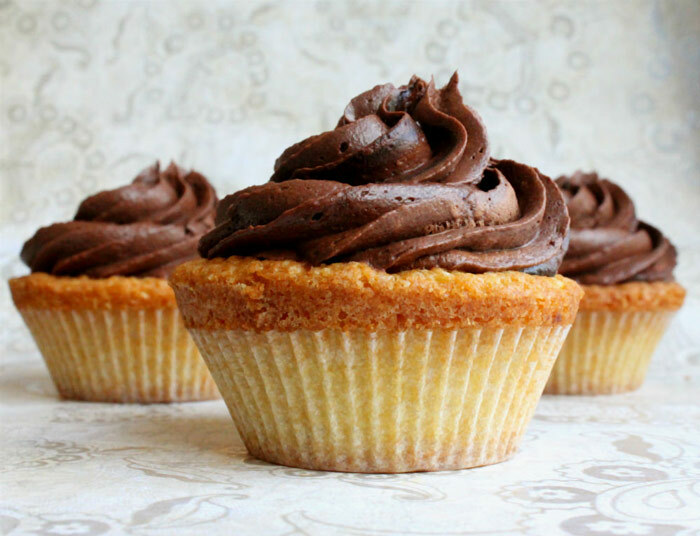 Wait, Boston Cream Pie Isn’t Really Pie? If you’re from New England–the Commonwealth in particular– you get it. We Bostonians speak a language of our own. We don’t drive around roundabouts or traffic circles; we bang a left around the rotary. Out-of-towners order sandwiches, hoagies, or grinders at the deli, but we order subs or spuckies. While most folks prefer sprinkles on their ice cream cones, we like jimmies. We don’t run; we book-it. Our trash goes in a barrel, we pahk our cahs along the ave, we drink our water from a bubbla (not a water fountain), and we love to host clambakes and sunbathe down The Cape. We ride the T, inbound of course, to stroll on the green grasses of the Common, and we all claim one spectacular dessert as the pride and joy of Beantown, but we can’t call that by the right name either. 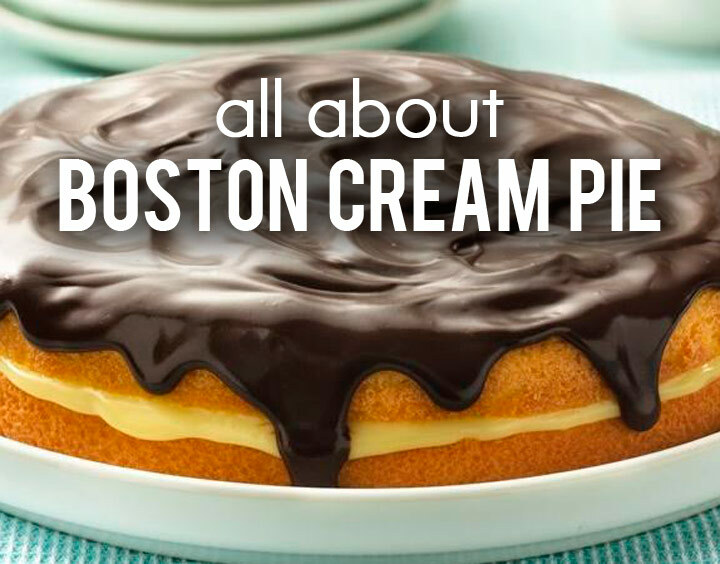 Boston Cream Pie is wicked yummy, but here’s the thing: it isn’t actually a pie at all. (Are you surprised?) 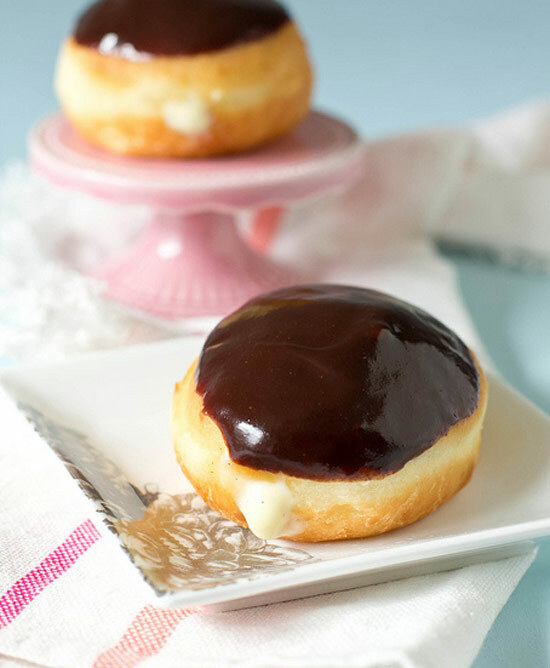 It’s comprised of two layers of dreamy sponge cake flavored with a splash of rum (a tribute to the harbor’s shipping history), filled with smooth sweet custard or vanilla pastry cream, then completely glazed in chocolate ganache. 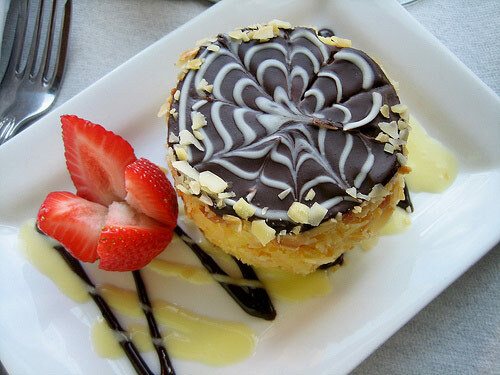 Boston Cream Pie was invented in the kitchens of the Parker House Hotel back in October of 1856 by Chef Sanzian, America’s first celebrity French chef. Some culinary historians speculate that the dessert was originally coined as “pie” because early versions of the cake were assembled in traditional pie tins, a vessel more commonly available than cake pans at the time. In the 158 years since this amazing dessert emerged through the swinging kitchen doors to be served in the hotel’s luxurious dining room, both the Toll House cookie and the Fig Newton have wrestled for the spotlight, but Boston Cream Pie still remains official state dessert of Massachusetts. Today, people from all corners of the globe cross over the ornate bronzed threshold of the Omni Parker House in downtown Boston to sample this timeless dessert in the very place where it all that deliciousness began. 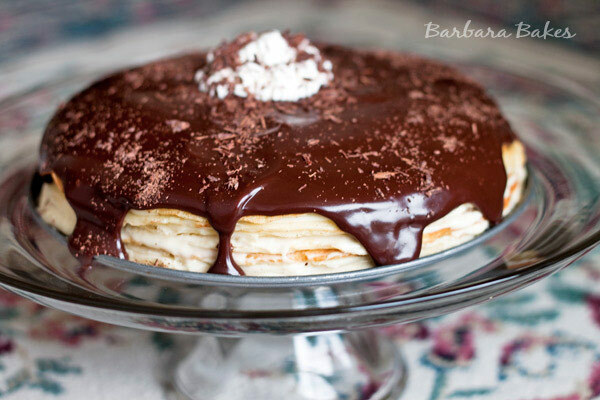 It seems that everyone has found a way to get creative with the ingredients of Boston Cream Pie, inventing new combinations and transforming them in every dessert (or breakfast item) imaginable. But first, we need to pay homage to the classic. 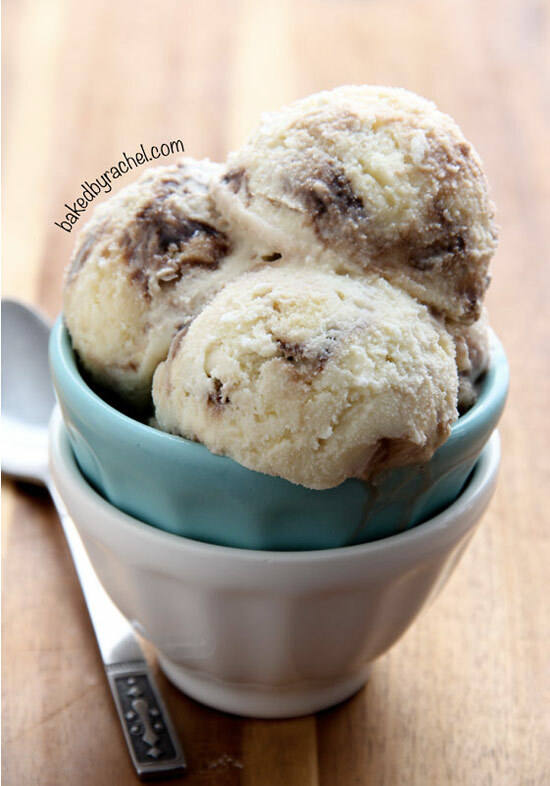 Like a little black dress or Neil Diamond’s Sweet Caroline, you can’t go wrong with a classic. But sometimes you just need to shake things up. 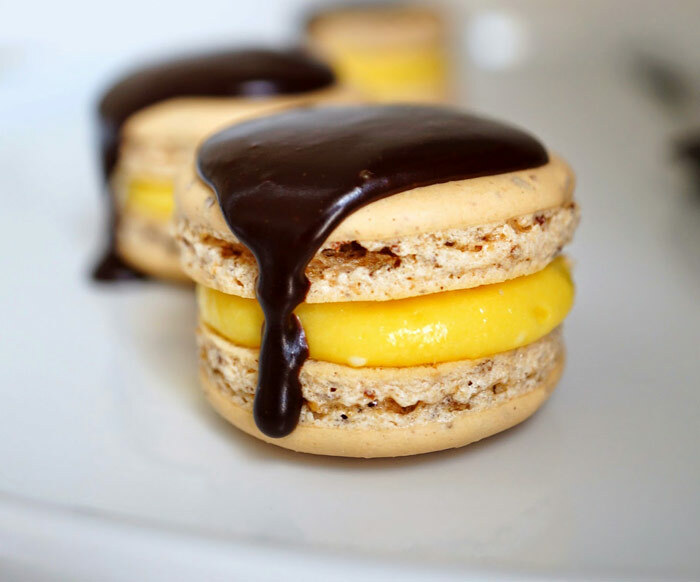 And similar to colorful shoes and the Dropkick Murphys, these Boston Cream inspired desserts totally rock. I love Boston and hope to head back there in April. Now I’ll be able to communicate with the locals…around the bubbla, maybe? Love this! Thanks Cookin Canuck! April’s a great time to visit Boston– just don’t forget your umbrella– and there’s so much amazing food to enjoy here, no matter how you pronounce it. Glad you enjoyed this post! I’d love to try a bite or two of each one. Thanks for including my crepe cake!